Compressor range from Ingersoll Rand gains environmental award for its influence on sustainability and energy management. Ingersoll Rand has won an Environmental Leader Product Award for its Next Generation R-Series line of compressors at the Environmental Leader Conference in Denver, Colorado. 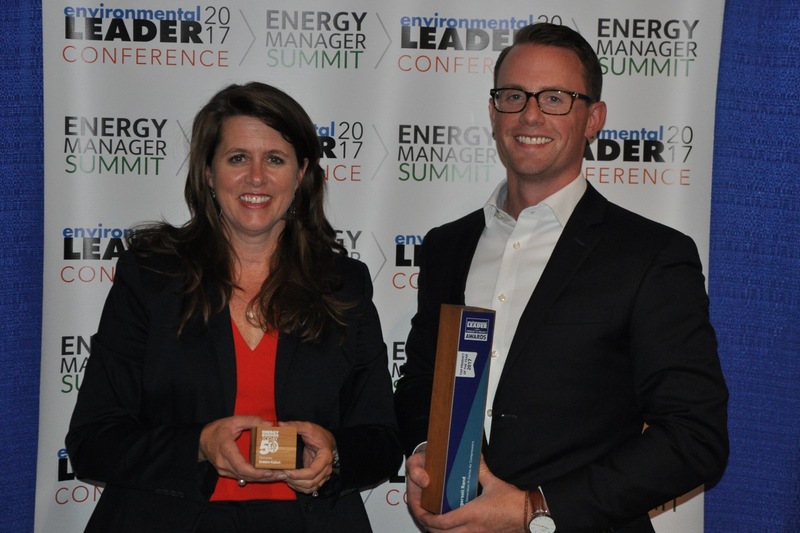 At the event, which was held on 6th June, Deborah Kalish, programme manager for Ingersoll Rand, also received an Energy Manager Today 50 award at the conference. The Environmental Leader Product and Project Awards recognise excellence in products/services and projects that provide companies with environmental, sustainability and energy management benefits; winners are awarded Top Product based on scores from a panel of judges with experience in environmental management. The Next Generation R-Series air compressors deliver enhanced performance and reliability, lowering operational costs for those in need of general purpose plant air in support of many manufacturing applications. All fixed-speed models are 16 percent more efficient compared to legacy products, while the variable speed option is up to 35 percent more efficient compared to the industry average. In recognition of her sustainability efforts, Kalish also received an Energy Manager Today 50 award at the conference award ceremony. She leads sustainability efforts for new product development, and serves as the programme manager for the company’s Climate Commitment. Kalish received the award for her leadership in the development of improved energy management strategies that impact the company as well as the acceleration of the industry. * Reduce company operations-related GHG emissions by 35 percent by 2020. The company’s Climate Commitment has supported the avoidance of approximately 6.7 million metric tons of CO2 globally, which is the equivalent of avoiding annual CO2 emissions from energy used in more than 700,000 homes. By 2030, the company expects to reduce its carbon footprint by 50 million metric tons.